Also serving communities of Holt, Dewitt, Grand Ledge, Eaton Rapids, Charlotte. There are 11 Memory Care Facilities in the Lansing area, with 5 in Lansing and 6 nearby. The average cost of memory care in Lansing is $3,357 per month. This is lower than the national median of $4,650. Cheaper nearby regions include Okemos with an average starting cost of $2,849. To help you with your search, browse the 9 reviews below for memory care facilities in Lansing. On average, consumers rate memory care in Lansing 3.7 out of 5 stars. Better rated regions include East Lansing with an average rating of 4.5 out of 5 stars. Caring.com has helped thousands of families find high-quality senior care. To speak with one of our Family Advisors about memory care options and costs in Lansing, call (855) 863-8283. Lansing, Michigan, has a total population of 116,986, with 11.1 percent of residents in the 65+ age group. Some are part of the 180,000 Michigan residents age 65 and up who have Alzheimer’s disease. 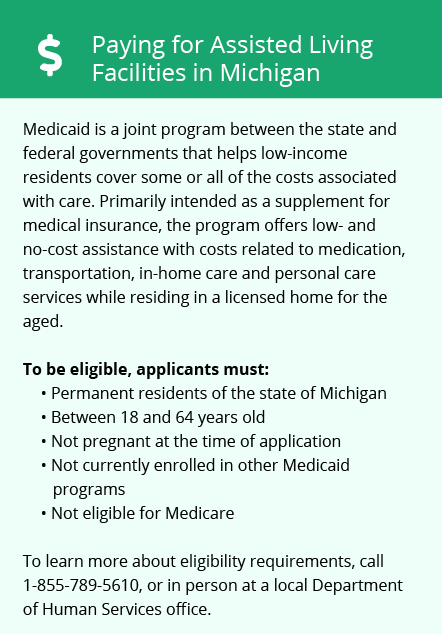 To accommodate this population in Lansing, there are five memory care facilities in the city and six in nearby areas, such as Okemos and Hazlett. 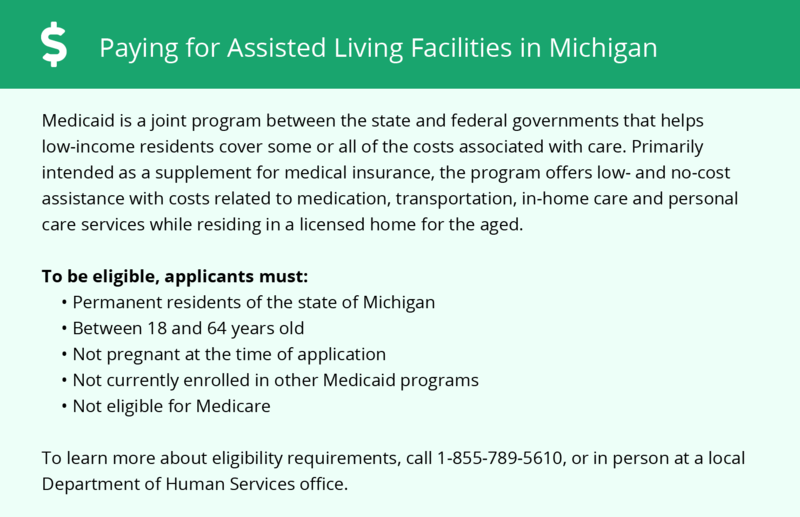 The Department of Health and Human Services regulates adult foster care (AFC) facilities and homes for the aged in Lansing and the rest of Michigan, with special requirements in place for facilities providing Alzheimer’s and/or dementia care. Residents or their representatives must be given detailed written materials regarding services provided and facility costs. The cost of living in Lansing ranks at 81.6, which is lower than the national average of 100. Memory care facility costs, utilities, groceries and other expenses may be more affordable in Lansing than in more expensive Michigan cities, such as Detroit. Social Security benefits aren’t taxed in the state of Michigan, making Lansing a tax-friendly place to live for seniors. Other types of retirement income, such as pensions, are eligible for tax deductions. Lansing has an air quality rating of 68 out of 100, while the U.S. average air quality rating is 58. These statistics are based on the EPA’s Air Toxics Assessment, which measures the risk of air pollution on a zip code level. Residents of memory care in Lansing may not be able to enjoy a lot of time outdoors in the winter, as January temperatures can drop to 15 degrees. The city gets an estimated 46 inches of snow annually, while the U.S. average for snowfall is 26 inches per year. Memory Care costs in Lansing start around $3,357 per month on average, while the nationwide average cost of memory care is $4,800 per month. It’s important to note that memory care rates in Lansing and the surrounding suburbs can vary widely based on factors such as location, the level of care needed, apartment size and the types of amenities offered at each community. Lansing and the surrounding area are home to numerous government agencies and non-profit organizations offering help for seniors searching for or currently residing in an assisted living community. These organizations can also provide assistance in a number of other eldercare services such as geriatric care management, elder law advice, estate planning, finding home care and health and wellness programs. To see a list of free memory care resources in Lansing, please visit our Assisted Living in Michigan page. Lansing-area assisted living communities must adhere to the comprehensive set of state laws and regulations that all assisted living communities in Michigan are required to follow. Visit our Memory Care in Michigan page for more information about these laws.